Superfest 2015: A Two-Day Sold Out Success! For 2015, we expanded Superfest to two days, two venues, and two sides of the Bay: November 14 (at the Magnes Collection in Berkeley) and Novemeber 15 (at the Contemporary Jewish Museum in San Francisco). Both were sold-out! We screened ten films from five different countries, all with audio description and captioning. And most exciting of all, filmmakers from around the world joined us for lively discussions with the audience. 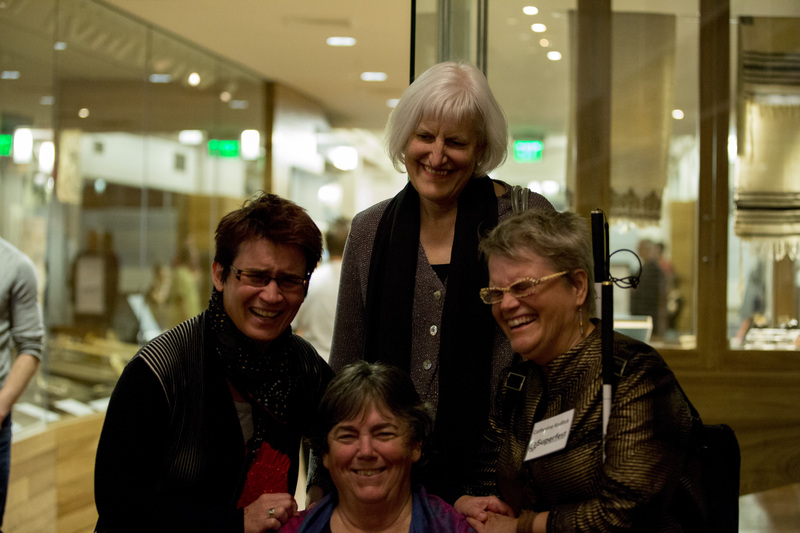 Superfest attendees enjoy a laugh with Longmore Institute Director Cathy Kudlick (right). 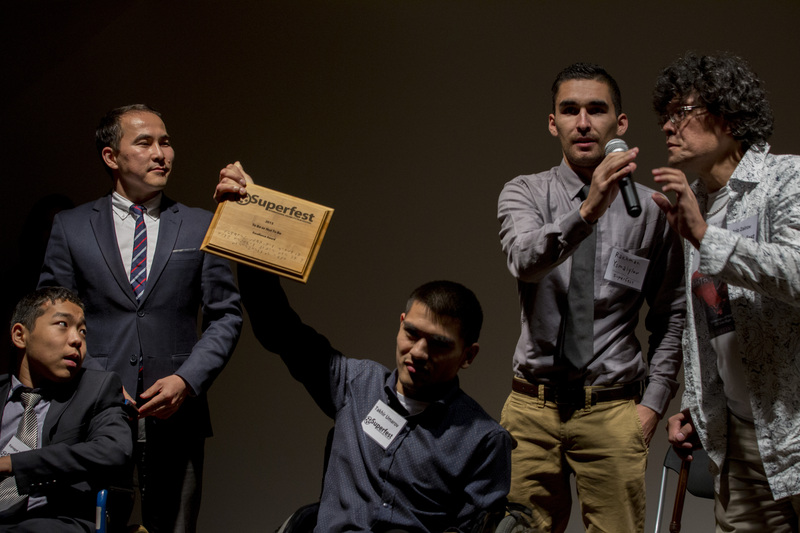 We extend our heart-felt thanks to everyone who participated in this important community event that celebrates the experiences and lives of people with disabilities! And thank you as well to our co-organizer the SF LightHouse for the Blind and Visually Impaired. Stay tuned for photos from Sunday at the Contemporary Jewish Museum, coming soon. The cast of "To Be or Not To Be" accepts their award.